I share vignettes of Jewish Antwerp, one in particular, that offer teachings for making our way through brokenness, through the summer season of mourning in the Jewish calendar. It was during the Three Weeks that lead to Tisha B’Av, day of mourning and destruction in which we are meant to reflect on ways and deeds that join us to each other and that, God forbid, separate us from each other. The rabbis identified sinat chinam/wanton hatred of one for another as the cause of the churban, the destruction of the Second Temple and the source of exile, exile from the Land, from each other, from ourselves. I have a complex relationship with Antwerp. 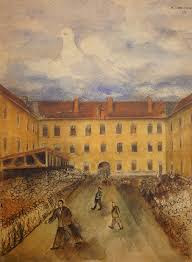 It is one of my favorite cities, drawn to both of its worlds, the Jewish quarter and the “Belgian.” Long before a connection of place that comes through my Belgian-born wife, Mieke, I was drawn to the city, traveling there as a young person to explore my own roots, to feel the aura of my grandparents. My grandparents lived there for several years while on the journey that would eventually bring them to the United States. I feel a deep churning of Holocaust connections to Antwerp. The largest number of Belgian Jews who did not survive the Shoah, were from Antwerp. Two who have become beloved to me, of whom I often speak and write, were from Antwerp. Rachel Mandel recta Kwadrat and Israel Isaak Lipshitz were married in a secret ceremony in the Belgian transit camp, the Kazerne Dossin. They were married by Rabbi Michoel Lustig who was imprisoned with them, reaching out to comfort and to hold even there, a rabbi who celebrated life in the face of death, love in the face of hate. 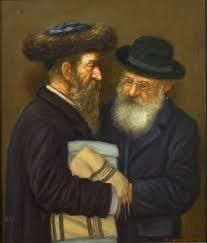 They were married in July, 1943 on the Friday of Torah portion Mattos-Massei (Numbers 30:2-36:13), the Torah portion of the week I had come to Antwerp. Leading into Shabbat on that Friday this year, the Friday of Torah portion Mattos-Massei, I held them in mind and heart on the anniversary of their wedding, knowing that tomorrow would be the anniversary of their deportation to Auschwitz. The second of the two Torah portions of this week, Massei, means journeys, eleh massei b’nei yisrael/these are the journeys of the children of Israel. On that Shabbos, along with remembering my father, who had recently died, I said Kaddish for these three in the in the little synagogue that I attend in the small beach town of Knokke on the Belgian North Sea coast, there among many Jews from Antwerp. As Mieke and I wandered the streets of the Jewish quarter, we stopped several times to ask people for directions, sometimes young Chassidic men hurrying along by bicycle or on foot, or stopping once in a kosher market and speaking with a young Chassidic woman at the cashier’s counter. In each case, we spoke Hebrew, directions carefully spelled out, taking care to point us in the right direction. In response to my grateful expression of appreciation, our various guides each smiled and said, b’simcha/with joy. A connection was made, people joined along the way of their journeys. I have long had a favorite Jewish bookstore in Antwerp, Siletsky’s. I knew already last summer that it was about to move. It was packed with shelves from floor to ceiling, with little room to move about, tall ladders on wheels rising up to the top shelves. Old Mr. Siletsky seemed to hold the entire inventory in his head; stroking his long white beard as he paused to think before responding to the requests I would come with each summer for many years now. I found the new location, but it was different. 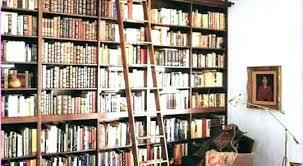 The floor-to-ceiling shelves were gone, and the tall ladders on which to ascend. The jumble, the dust, the magic were all gone, and so too, Mr. Siletsky. Even though I was no more foreign than I had ever been, I felt out of place and uncomfortable in the new store. 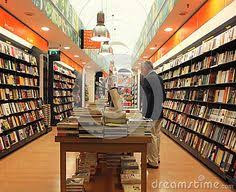 I asked the owner about a few books for which I had come to search. He was polite, but offered little by way of concern or desire to help, not like the old bookseller who would ascend to the heights on my behalf. I browsed for a bit, drawn to several s’forim/holy books, caressing a particular prayer book, deciding that it wasn’t the time or setting in which a holy book might be the reminder over time of an emotional connection. As I thanked the bookseller and turned to leave, a chossid/Chassidic man standing at the counter seemed to mutter something. I heard the bookseller say to him in English, seemingly for my benefit, “be a gentleman.” I turned for a moment, but then continued toward the door and the streets of Jewish Antwerp. Realizing that the man had said something derogatory in my direction, I felt deep pain, struggling with whether to turn around and go back. I continued on my way, carrying a sense of brokenness, trying to remember the cheerful response from those who offered directions on these same streets b’simcha/with joy. Mayn fraynd, in di letster Shabbos mir hob gebentched di kummidiker choydesh/my friend, last Shabbos we blessed the coming month, takke, M’nachem Av/indeed, the month of Av the Comforter. Nisht host du gedavent di vertlach, chaverim kol yisroel/did you not pray the precious words, all Israel are friends/joined to one another? Iz dos emes, mayn fraynd, oder sheker/is this truth my friend or a lie? S’iz geshribn, yoh, netzach yisroel lo y’shaker/it is written, yes, the Eternal One of Israel does not lie? Lomir machen dos emes/let us make this truth/ich un du tzu zaynen chaverim/I and you to be friends. Nu, sholem aleichem, mir gayen in sholem itzt/nu, peace be upon you, may we go in peace now. I pray that my words find their way to another’s heart, whether spoken directly to him or not. Along the streets of Antwerp and in all of its worlds, these are the journeys of the children of Israel, of loved ones remembered, the living and the dead joined as one in God’s hand. We are all one, all Israel and all humanity. During those summer weeks of mourning and remembrance, we are reminded that we are to love each other, to help each other along the thoroughfares of life, bridging time and space and difference b’simcha/with joy.